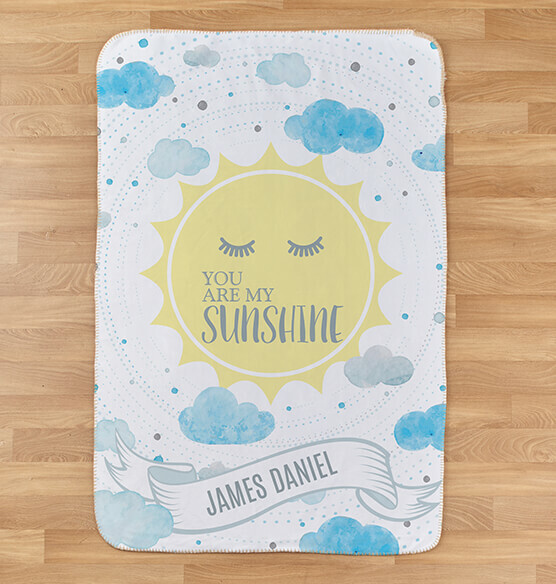 Make bedtime even more special and comfortable with a new Personalized You Are My Sunshine Sherpa Blanket for your child. 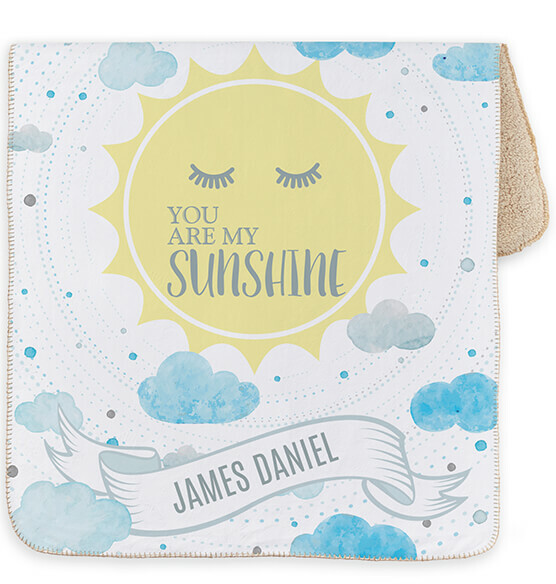 We'll personalize this sherpa kids blanket with any name. 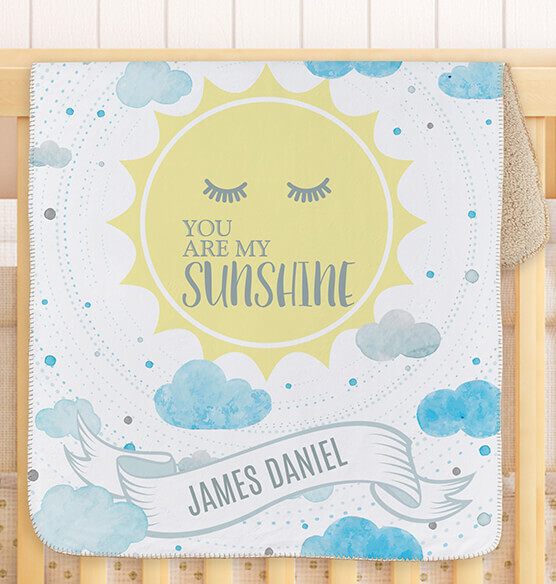 Makes a great new addition to any child's bedroom. Soft and smooth mink touch front with tan Sherpa back. Yarn stitched edges. Specify name; limit one line, 20 characters. 100% polyester. Approx. 30" long x 40" wide. Machine wash.